With the popularity of Just One Smile is Very Alluring, Yang Yang and Zheng Shuang have entered the top five spots (yesterday, he’s #1, she’s #3) on Baidu ranking, the top four spots were previously ruled by Zhao Li Ying and her various co-stars (Li Yi Feng, William Chan, and Lay) for the past month or so. Lol. 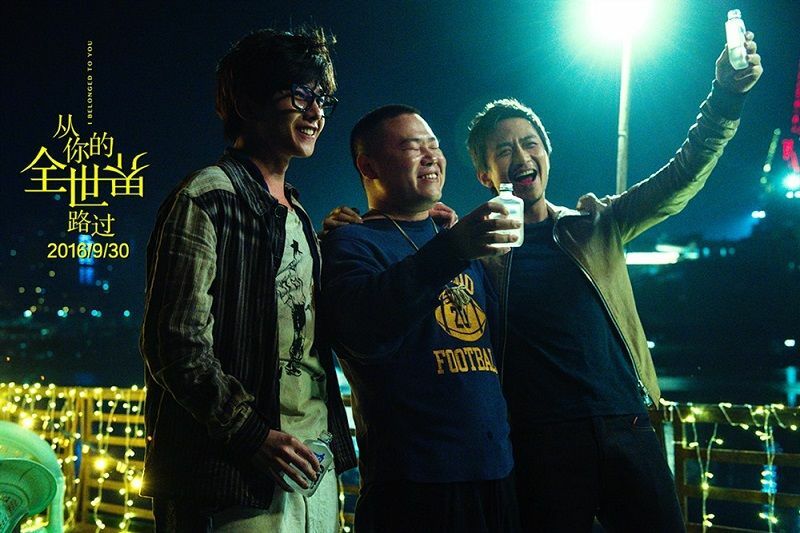 The movie I Belonged to You or Passing by Your World (从你的全世界路过) stars Deng Chao, Yang Yang, Bai Bai He, and Zhang Tian Ai in a strings of mini stories about youth, love, and friendship based on the novel written by Zhang Jia Jia. The style of the novel is described as lighthearted bedtime stories of one person to another, recalling life experiences in a way that draws the readers into the shoes of each character. 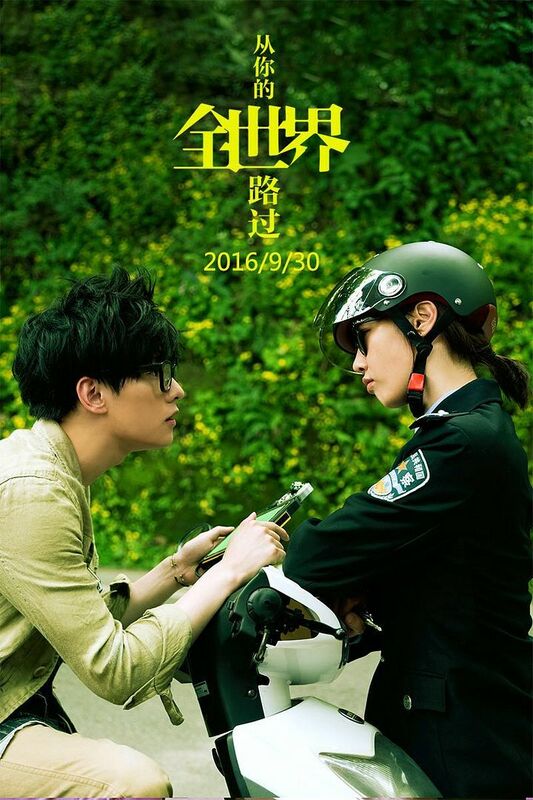 The latest trailer features the story of a bumbling youth (Yang Yang) inspired by his love for a tough police woman (Bai Bai He) to change his life around. Three stories. First one with Deng Chao and Crystal Zhang Tian Ai. Second one has Yue Yun Peng and Liu Yan. Third story with Yang Yang and Bai Bai He. Messy hair is styled to be messy! It looks so funny. XD Could I help…mess up his hair? She knows where to find her man. heh. Out in theaters on September 30th! 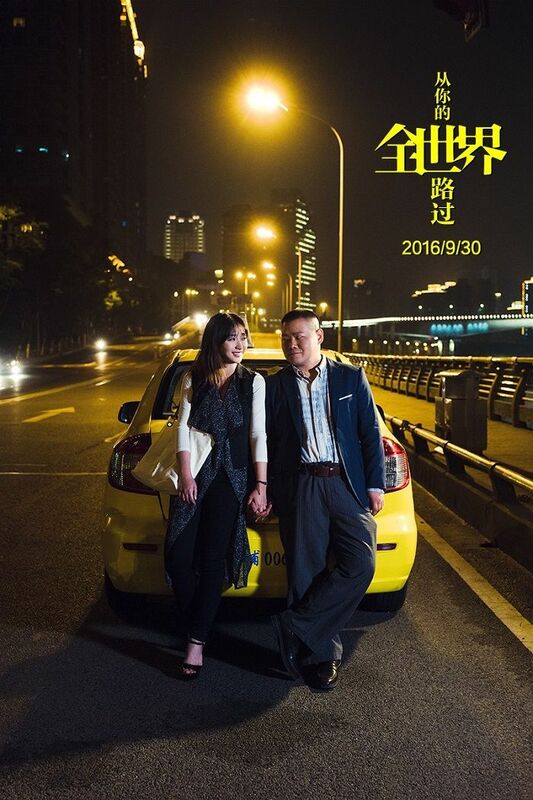 This entry was posted in Entertainment News, Trailers Galore and tagged Bai Bai He, CMovie, Crystal Zhang Tian Ai, Deng Chao, I Belonged To You, Liu Yan, Novel Adaptations, Yang Yang by Kappy. Bookmark the permalink. Yang Yang could be in the ugliest outfit with dirt all over his face and he’d still look good, haha. YY and Crystal…they look more like brother and sister tbh. Let’s see how it works out in the rumored drama! Lol. I just remember how young the male stars are… Tian Ai does have one disadvantage in looking more mature than most of her co-stars. Still waiting for an official confirmation. Yang Yang has already confirmed it. Hope it will turn out to be Crystal. On another YY note, any more updates with his drama with Yang Zi? I’m thinking that if he accepts Martial Universe, he might not do that one with YZ since she’s already done with Dragon and is looking for a new project! Isn’t she due to film Ode to Joy in Sept? I read on weibo that the rumored one with them is slated to start filming early next year. If that’s the case then maybe it could happen. If not, one of them needs to take a vacation and make it work lol. 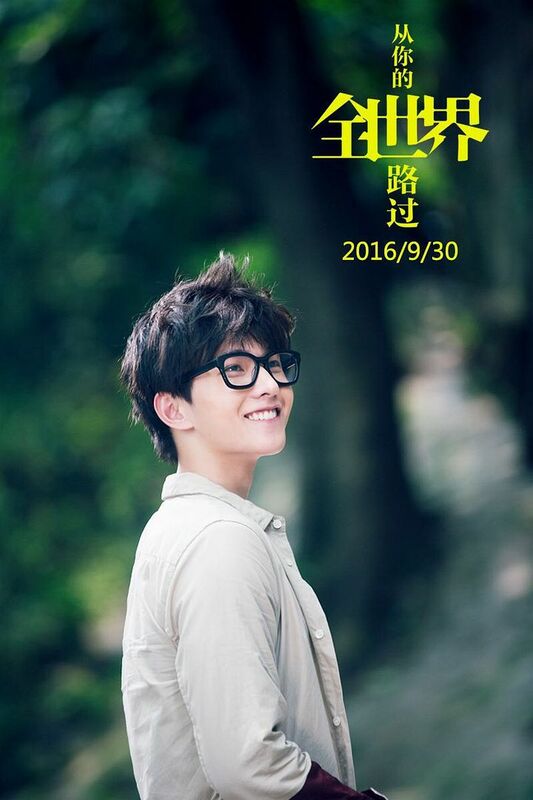 Saw that trailer minutes ago too, and yang yang is just so cute and adorable. Can’t wait to watch the movie. I’m excited with the yang yang and tian ai pairing because she could act youthful and he could really act mature. 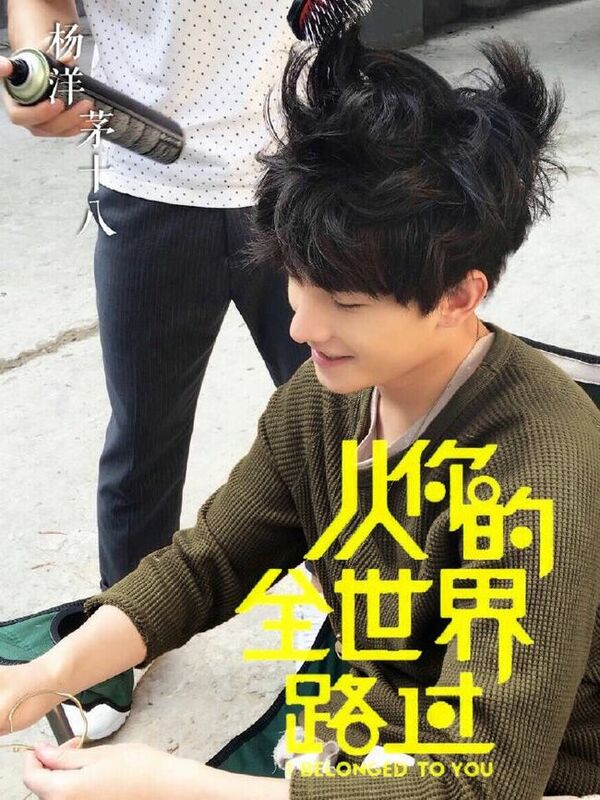 I do not usually go down the fan road coz frankly speaking, most of these actors and actresses are even younger than my kids!…but I’ll admit, Yang Yang is cute. He has a pleasant, boyish face with an astute expression that makes him the best candidate for any role requiring a handsome nerd or genius. If he’s my student, I’ll think he’s a smart goody-two-shoes young man….most likely ending up as “teacher’s pet”. Unfortunately that also meant he wouldn’t fit into baddie roles. Now, that would be a challenge to his acting….give him a baddie role and see if he can pull it off! I think the Yang Yang and Crystal pairing could work! Waiting for the official confirmation now hehe. This reminds me. So much of a Wes Anderson movie. From the characters to the bursts of background music. Love it! We also have to keep in mind that zly has 2 dramas, chusen airing mon-thurs. 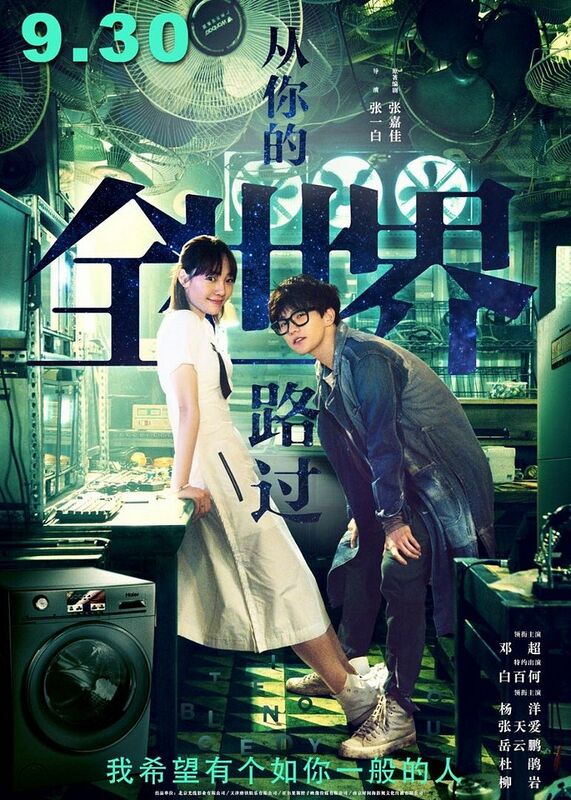 Its a feat for zheng shuang and yang yang to climb that high with just one drama. Granted liying is not the lead in both but shes well promoted by the ptoducer every week. Always releasing posters and stills. Its okay to fall off the charts for new dramas, nothing to be uptight about. They release stills and posters of her almost every week, like shes the female lead. They could release previews of other characters, but nope, they preview one of her only scene the other week to lure in fans for chusen. All marketing strategies. That’s what Im saying. Chusen airs online and qq have over hundreds thousands of vip members, not to mention all the rip online. Mystic Nine also airs online and on tv. Shes everywhere this month. My point is that it’s okay to fall off the chart with all the competitions. Plus, you dont need to have dramas to even enter the ranking. All you need is buzz and being searched. Look at ruby and wallace and hu ge (lol) topping charts during their wedding. Are we talking about the 娱乐名人排行榜? In any case, I feel like Liying’s popularity hasn’t waned at all since HQG last year and she’s only going to get more popular from hereon. Just look at the dramas that have her name attached.